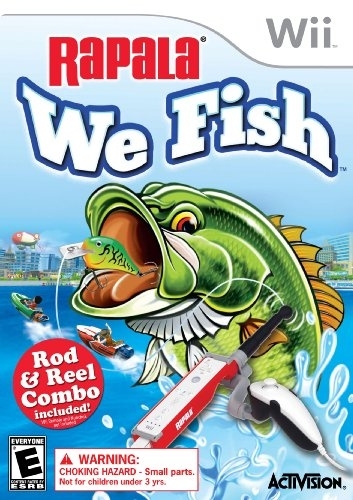 Rapala: We Fish takes a "pick up and play," comical approach to fishing. Featuring five different game modes, including co-op tournaments, 4 player split-screen and multiplayer modes, players can choose from five characters or play as their favorite Mii. Players travel to eight locations around the world and compete in 24 tournament events. Battle over 50 wacky fish species, including enormous Legendary Lunkers. 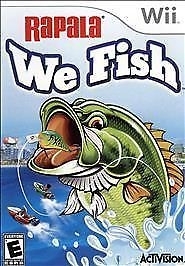 Who does not have a fishing pole yet? 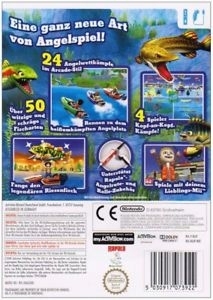 If you like fishing this is like the 20th fishing game on the Wii, have fun.